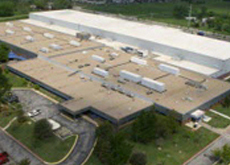 Hitachi Computer Products (America), Inc. | Network Directory : Hitachi in the U.S.A.
Hitachi Computer Products America, Inc. is the preferred technology partner for businesses across various sectors. We employ advanced manufacturing processes to design highly functional electronic and computer products. As a part of our energy saving portfolio, Hitachi manufactures high-efficiency air conditioning equipment, inverter fluorescent lamps, and LED lighting. We also produce mass storage devices and disk storage systems necessary for business operations.